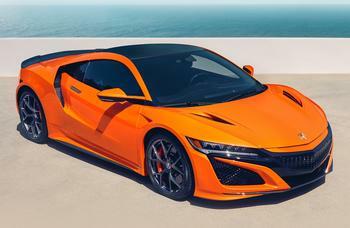 American Honda Motor Co. is recalling 793 model year 2017 Acura NSX vehicles. Road vibrations may cause the metal screws that secure the printed circuit board for the high mounted center brake light to loosen and contact the circuitry, possibly resulting in the brake light fuse blowing and the brake lights not functioning. Honda will notify owners, and dealers will replace the center high mount brake light, free of charge. The recall is expected to begin November 6, 2018. Owners may contact Acura client relations at 1-844-682-2872. Honda's number for this recall is B2B.